Clearance Figure Skates, Figure Skating Blades and Skating Accessories. Clearance! 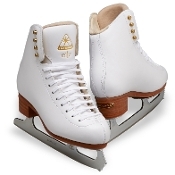 Ultima UB50 Legacy Figure Skating Blades GAM Gold Label G0980 Womens Figure Skating Boots - Clearance! Clearance! Ultima UB50 Legacy Figure Skating Blades were developed in response to the demand by top coaches for an intermediate blade that has a 27" radius profile in front with cross cut picks. GAM Gold Label G0980 Womens Figure Skating Boots - Clearance! GAM Silver Label G0780 Womens Figure Skating Boots - Clearance! Clearance! Jerry's Furry Gloves. Furry gloves for ages 7 and OLDER. Cute furry gloves available in a variety of colors to keep your hands warm. Clearance! 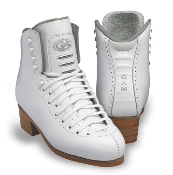 GAM Podium G0058 Womens Figure Skate Boots are intermediate level boots. Clearance! 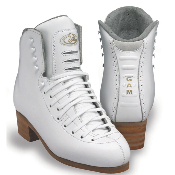 GAM Silver Label G0098 Womens Figure Skate Boots for Advanced Skaters. Clearance! 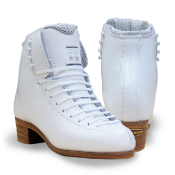 Jackson Competitor DJ2400 Womens Figure Skate Boots. Clearance! Jackson DJ2510 Finesse Womens Figure Skating Boots. GAM G0078 Bronze Label Womens Figure Skate Boots - Clearance! Clearance! Jackson DJ2510 Finesse Womens Figure Skating Boots. 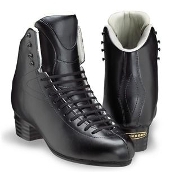 This boot has increased flexibility required for dance and synchro moves. 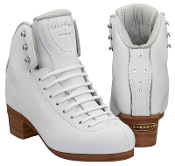 This intermediate boot is specifically designed for Dance and Synchro. GAM G0078 Bronze Label Womens Figure Skate Boots - Clearance! Great stability without reducing the flexibility. 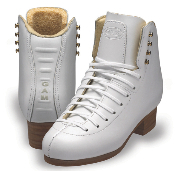 GAM Gold Label G0528 Womens Figure Skate Boots - Clearance! 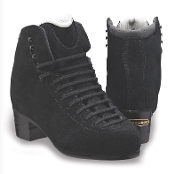 Jackson Debut DJ2450 Womens Figure Skate Boots - Clearance! 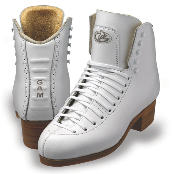 GAM Gold Label G0528 Womens Figure Skate Boots - Clearance! Extra firm support to land the most complex jumps. 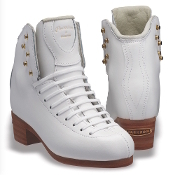 Jackson Debut DJ2450 Womens Figure Skate Boots - Clearance! Jackson Debut DJ2452 Mens Figure Skate Boots - Clearance! Jackson Debut DJ2453 Boys Figure Skate Boots - Clearance! Jackson Debut DJ2452 Mens Figure Skate Boots - Clearance! Jackson Debut DJ2453 Boys Figure Skate Boots - Clearance! Jackson Debut Low Cut DJ2430 Womens Skate Boots - Clearance! 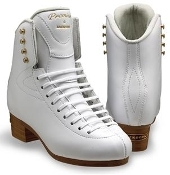 Jackson DJ2500 Premiere Womens Figure Skate Boots - Clearance! Jackson Debut Low Cut DJ2430 Womens Skate Boots - Clearance! 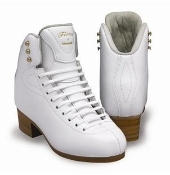 Jackson DJ2500 Premiere Womens Figure Skate Boots - Clearance! Jackson DJ2603 Premiere Boys Figure Skate Boots - Clearance! 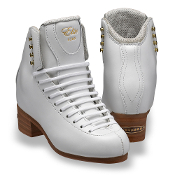 Jackson DJ2800 Premiere Womens Figure Skate Boots - Clearance! Jackson DJ2603 Premiere Boys Figure Skate Boots - Clearance! 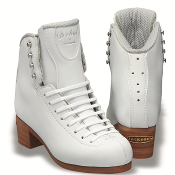 Jackson DJ2800 Premiere Womens Figure Skate Boots - Clearance! 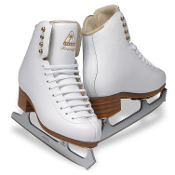 Jackson DJ4452 Elite Low Cut Mens Figure Skate Boots - Clearance Jackson Elite DJ4200 Womens Figure Skate Boots - Clearance! 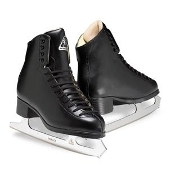 Jackson DJ4452 Elite Low Cut Mens Figure Skate Boots - Clearance! Provide greater flexibility for all skaters. 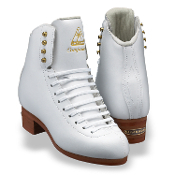 Jackson Elite DJ4200 Womens Figure Skate Boots - Clearance! 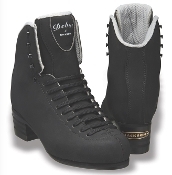 Jackson Elite DJ4500 Womens Figure Skate Boots - Clearance! Jackson Elle DJ2131 Girls Figure Skates - Clearance! 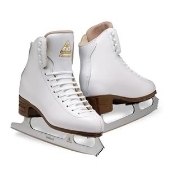 Jackson Elite DJ4500 Womens Figure Skate Boots. Jackson Elle DJ2131 Girls Figure Skates - Clearance! Jackson Freestyle DJ2190 Womens Figure Skates - Clearance! Jackson Freestyle DJ2191 Girls Figure Skates - Clearance! Jackson Freestyle DJ2190 Womens Figure Skates - Clearance! Jackson Freestyle DJ2191 Girls Figure Skates - Clearance! Attached Aspire blade. Jackson JS1991 Classique Girls Figure Skates - Clearance! Jackson JS1993 Marquis Boys Figure Skates - Clearance! Jackson JS1991 Classique Girls Figure Skates - Clearance! Attached Ultima Mirage all-purpose blade. Jackson JS1993 Marquis Boys Figure Skates - Clearance! Attached Ultima Mirage blade. Ultima UB105 Elite Figure Skate Blades - Clearance! 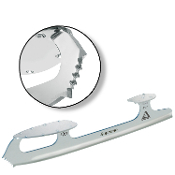 Ultima UB115 Ice Dance Blades - Clearance! Ultima UB105 Elite Figure Skate Blades - Clearance! They incorporate all of the technical features of the Freestyle model, but offers the competitive 27" radius profile in front and the larger pick design of the more traditional blades. 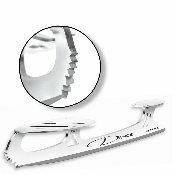 Ultima UB115 Ice Dance Blades are designed to provide advanced competitive ice dancers with improved maneuverability and control. Short heel to avoid tripping. 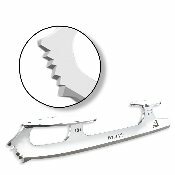 Ultima UB120 Freestyle Figure Skate Blades - Clearance! Ultima UB150 Supreme Figure Skate Blades - Clearance! Ultima UB120 Freestyle Figure Skate Blades - Clearance! 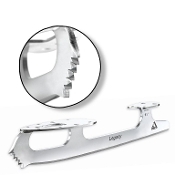 These Blades incorporate all of the latest technology and features available. They have a 17" radius profile in front and an 8 foot rocker. The preferred choice of World and Olympic competitors and recommended by elite coaches everywhere. Ultima UB150 Supreme Figure Skate Blades - Clearance! Designed for those skating at the highest level of competition. These blades have a 12" radius profile in front, an 8 foot rocker and are side honed. Simply the best blades available for the advanced skater. 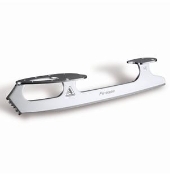 Ultima UB55 Finesse Figure Skate Blades were designed for Synchro skaters and intermediate level dancers.. Unique pick format reduces scratch, yet can still accommodate spins and jumps. Short heel assists during close maneuvers. MATTE FINISH, MEDIUM WEIGHT. ChloeNoel TB8832 Boot Cover Tights w/ Crystals 1 Side. Great competition tight. 70 denier. Light Tan Color Only. Clearance! 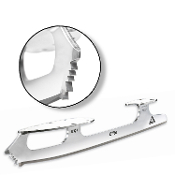 The Eclipse Mist figure skating blades are designed for the competitive skater with rising aspirations. These blades have a 12" radius profile in front. Can be used from single jumps through triple jumps. CLEARANCE! 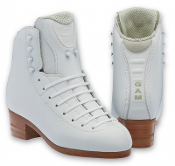 GAM Podium G1158 Girls Figure Skate Boots great for the advanced up and coming skater. Clearance! Mondor 5380 Fashion Tights. Known in the skating world for the best tights for comfort and durability, Mondor also makes a fabulous fashion tight for girls. Clearance! TuffTerrys Figure Skating Soakers. 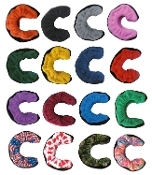 TuffTerrys are reinforced on the bottom, both inside and outside, with durable polypropylene. Available in several colors. Proguard Elite Hockey Tape (Cloth) - Clearance! Proguard Elite Cloth Hockey Tape. 1 inch tape. 27yrds.